Nothing and nobody can tug your heart strings the way a child can. As a parent or an educator, you want children to excel and provide them the best tools for success. Children at various stages of growth and learning require a different set of tools. These apps have been chosen to help kids perform better in school span from pre-school and elementary school to middle school and high schools. Some of these 5 apps to help your kids perform better in school, also address core issues such as anxiety and depression. Elmo loves 123s is an app for children aged 5 and under. It is available for $4.99 on iTunes and has popular Sesame Street characters Elmo and Abby Cadabby guides children through learning math. The favorite fuzzy characters help kids count and identify numbers from 1 to 20. They do simple math problems involving addition and subtraction and trace numbers that open surprises of puzzles, coloring pages, and videos. Nothing replaces one-on-one interaction with children as they learn the basics of a language, mathematics, and art. However, given how technology oriented the world is, using this app to help your child learn scores on two levels: she learns to add and subtract in a fun way while gradually becoming tech-oriented. Furthermore, this app helps parents keep track of children’s activities and past performance. When the app is first opened, information about kids’ past plays can be viewed, including time played, activities and number covered and the percentage of correct answers. However, kids cannot access these screens without restarting the game. As per its reviews, it has great educational value and is easy to play. This app sharpens analytical reasoning and critical reading skills. Though it can be used by all age groups, but showing elementary school children how to play these games gives them a leg up on figural analogies that are so frequently seen on placement tests. An analogy points out the relationship between things that seem different but share similarities. Cognitively, Little Solver develops spatial relationship skills, problem-solving skills, perception and analytical reasoning. Offering hundreds of figural analogies, the games are divided into 14 levels that allow a user to individually focus on each skill set. After each game, it provides stats and offers performance tracking details so that you can evaluate your child’s skills and their improvement. Furthermore, this app is customizable as everything can be recorded in your own voice. It is rated at a 4.5 out of 5 stars as per one of its reviews. General knowledge is very important for children to develop their minds and broaden their horizons. Science 360 app is by the National Science Foundation (NSF) and it brings cutting-edge engineering and science news, videos, and images for your child to see and learn. Since the content is generated by the NSF or gathered from universities and scientists from around the world, you can be assured that your child is receiving high-quality and accurate information and general knowledge. This app is for ages 12 and up. One shortcoming of this app is that it’s available only for tablets. One of its glowing reviews suggests using it in class for lessons related to science. Teens are under a lot of stress in high school. From the relatively less pressure-intense atmosphere of the middle school, they are thrust into high school where high academic expectations rival with social and extra-curricular pressures. High School is when SATs loom ahead and college talk becomes a topic of conversation at dinner. The app myHomework helps them organize the academic aspect of their lives. Papers, projects, deadlines and notes for homework help students keep tabs on their workload. It is a bit like the master planners we used to lug around before the age of apps. It helps sort out subjects that students are taking and what is due by giving reminders of deadlines and notations for when tests are scheduled. Reviews on iTunes give it 4.5 out of 5 stars and reviews on Google Play give it 4 out of 5 stars. Academics are one aspect of good performance in school life, being able to deal with social pressures and anxiety is another. The rate of teen suicide in the US is so high that it is the third leading cause of death for 15-to-24-year-olds. Suicide is one extreme but handling stress and anxiety is a spectrum that can lead children to suffer from mild to severe depression. An app like MindShift is handy for students because it helps users learn how to relax and develop a helpful way of being proactive and taking charge of their anxiety. The app provides tools to tackle the different issues that kids, tee, s and students face such as test anxiety, performance anxiety, perfectionism, social anxiety, panic, worry, and conflict. Furthermore, it provides education on anxiety and proposes various strategies that can be used to deal with it positively. It also helps identify a user’s level of anxiety by listing physical symptoms brought on by excessive worrying on a 1 to 10 scale. It also provides inspirational quotes to help students get over hurdles and provides privacy by being password-protected. MindShift reviews give it a rating of 4.8 out of 5 on iTunes and a rating of 3.7 out of 5 on Google Play. There are thousands of apps available that could sharpen nearly all skill sets of a child. Choosing the right one is the challenge and what may work for one child may not work for another. 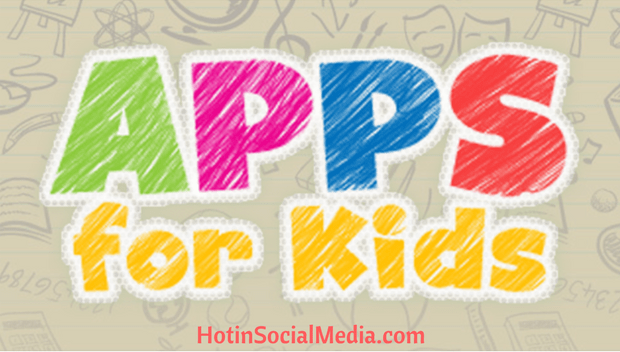 Our list of apps focuses on a wide range of developmental challenges and milestones that kids face across different age groups. Be it organizing skills, learning math, increasing general knowledge or managing social anxiety, these apps are tools that can address a myriad of childhood and teen issues. An additional point to keep in mind is that some mobile companies also give back to the local community. For example, airG has formed a partnership with the charity Kids Help Phone that has led to the donation of $200,000 and the deployment of many digital outreach campaigns. By buying apps of such companies, you are also helping out the community. You can also find positive reviews and feedback from customers about the performance of an organization. Audrey Throne is a mother and a professional blogger by choice. She has completed her masters in English literature from the university of Birmingham. As a blogger, she wrote quite a few posts on health, technology as well as management. Currently, she is associate with Brain Test Team. Find her on Twitter.